How will the amount of support be decided? Who will ensure that the child support is being used correctly? How does the custody arrangement affect support decisions? What about insurance, medical bills or school fees? What if one parent’s income changes? With the help of an experienced family law attorney, you can navigate this unfamiliar territory with an advocate on your side. 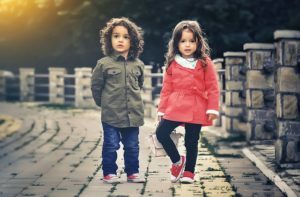 The complex nature of child custody and support laws in California means that defining a fair and equitable child custody/support agreement can be a tricky. You may have plenty of well-meaning friends or family members who give you advice or anecdotal stories telling you what “should” happen in your divorce case. However, each and every divorce resolution is unique to the family dynamics, parental relationships, custody arrangements, personal incomes and needs of the children. Your children deserve positive relationships with both parents, and your divorce and child support attorney also makes sure the court hears your voice, goals, needs and true financial situation. How can Doyle, Schafer, McMahon, LLP Help? As a recognized provider of divorce lawyers in Orange County, we want to take the apprehension and confusion out of your divorce by empowering you with the information and assistance you need to proceed with confidence. We know you want to find a divorce attorney you can trust, and we invite you to contact us or call (949) 727-7077 today for a consultation. With our compassionate and competent service, we will help you safeguard you and your children’s future.